Rosabrook was one of the first wine producing pioneers of the Margaret River region. The winemaking philosophy, carefully guided by the Calneggia family and Winemaker Brian Fletcher, is to create elegant, fruit driven wines. 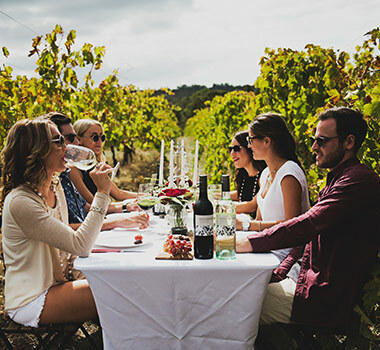 The Rosabrook Estate vineyard is an exceptional site, located in the north-west of the Margaret River wine region. Facing north and overlooking the Indian Ocean, the vineyard benefits from consistent and mild ripening conditions that produce wines of great intensity, finesse and flavour. Our passion is Cabernet Sauvignon, and we are unique in Margaret River as we utilise the lyre trellising system, on a North-East facing slope overlooking the magnificent Indian Ocean on vines that are over 25 years old. You have been very successful with your plantings of Tempranillo in Margaret River, why do you think you have had such great success with this alternative varietal in the region? We planted our first Tempranillo vines 15 years ago, we saw the potential for growing alternative varietals in Margaret River and decided to give it a go. The vines were established on one of the most gravelly parts of the vineyard to assist with delivering intensity, richness and texture to the wines. The Mediterranean climate prevalent in the northern part of the region provided a perfect environment for the fairly robust Tempranillo vines. The first couple of vintages were hard work; Tempranillo is pretty high maintenance! It needs lots of love and attention in the vineyard and is a very labour intensive varietal to grow. Tempranillo requires close monitoring of the crop with shoot thinning to regulate crop levels and enhance fruit exposure, along with bunch removal to adjust yields increasing quality. We have found that the effort is well worth it – Tempranillo is now the family favourite and definitely our 'go to' wine of choice. We have also noticed a number of the Rosabrook Wines have been selected for Qantas Business Class and First Class flights, in particular the Rosabrook Single Vineyard Estate wines. Can you tell us a bit more about these wines? We have had incredible success with Qantas over the past three years. This year we will have five Rosabrook wines pouring on Qantas Business Class and Qantas First Class Flights. The Rosabrook Single Vineyard Estate wines have been particularly successful with Qantas. 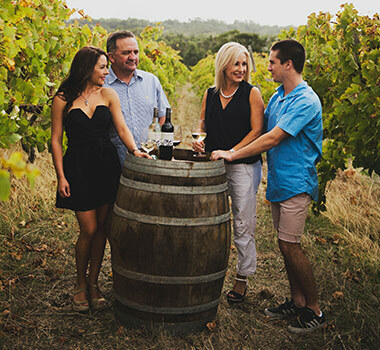 We launched the Rosabrook Single Vineyard Estate wines in 2010, the idea was to make a range of wines with no expense spared – we select and source the best fruit we can find and Brian carefully nurtures the wines from vineyard to final bottling. Rosabrook was hand-picked to work with Frank Camorra of Movida fame to develop & produce an exclusive Tempranillo as part of Wine Selectors Chef Series.